Ear Clips and Ear Wires There are 11 products. 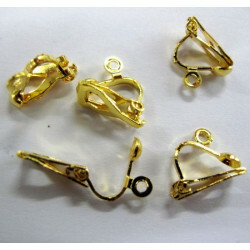 Pack of 10 pairs of mini clip-on ear fittings in gold colour. 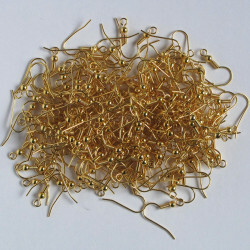 Fish hook ear-wire, gold colour. 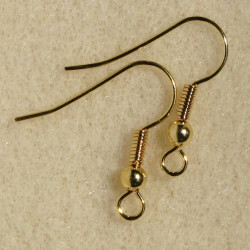 Fish Hook Earwire, Gold Colour. Pack of 100 pairs. 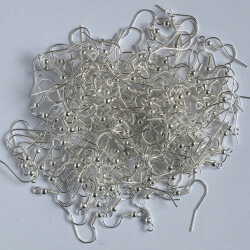 Fish hook ear-wire, silver colour. 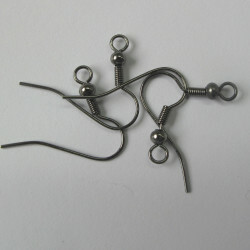 Fish Hook Earwire, Silver Colour. Pack of 100 pairs. 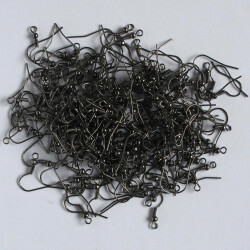 Fish hook ear-wire, black colour. 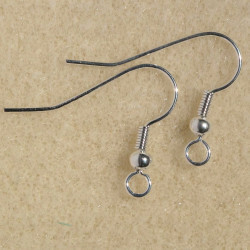 Fish Hook Earwire, Black Colour. Pack of 100 pairs. 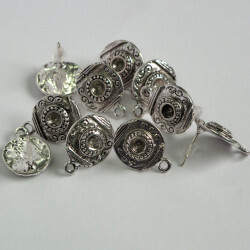 Tibetan style ear studs, pack of 5 pairs. Tibetan Style Ear Studs With Plastic Backs, Approx. 14mm Diameter With a Small 2mm diameter Loop. Pack of 5 Pairs. Fish Hook Earwire, Gold Colour. Pack of 10 Pairs. 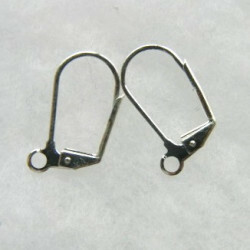 Lever back ear-wire, silver colour, pair. Lever Back Earwire, Silver Colour. Pair. 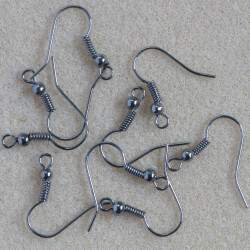 Fish Hook Ear Wires, Gunmetal Grey Coloured. Special Offer of Only £2.95 for 50 Pairs. 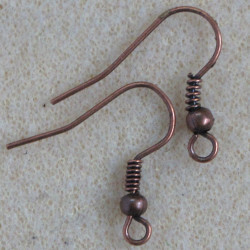 Fish Hook Ear Wire, Antique Copper Colour﻿, Pack of 10 Pairs.